A range of superior yet competitively priced self-contained solar LED marine lanterns. We now offer Hyperion marine lanterns - a range of self-contained solar LED marine lanterns, featuring an up to 5 nautical miles visible range. The team has spent over 12 months conducting R&D to bring out a product that offers superior performance, the highest efficiency rates and competitive prices. For a complete marine navigation solution, Ecocoast now also provides a full range of Marine Buoys to aid safe navigation and demarcate marine and coastal areas. Visit our Marine Buoys page here. 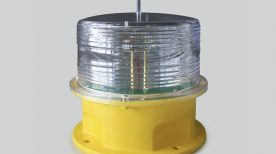 Self-contained solar LED marine lanterns to offer a complete marine navigation solution. A complete marine navigation solution.